Last June my friend and I took a much anticipated trip to Rome and Florence. We met as au-pairs in Milan about five years ago and try to get back to our favourite country as often as we can. The night I got back from our holiday, I felt the post Italian blues so strongly, that I desperately searched around for films, books, food, anything! that would transport me back to the wonderful country that I love so much. 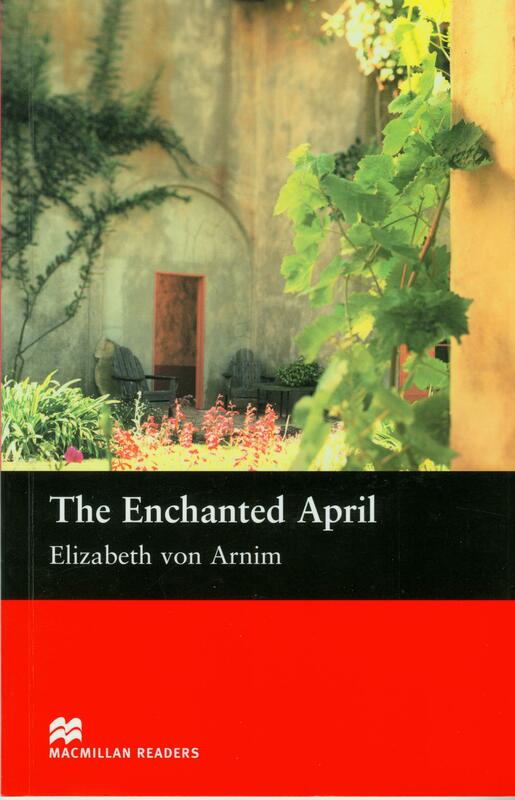 I was so lucky to find The Enchanted April. The dreary, grey and depressing London in the first part of the book expressed perfectly how I felt about being back. Four women, all strangers, put their money together to escape their unsatisfying London lives for the month of April. They are all very different characters who are unhappy or unsatisfied in some way; excitable Mrs Wilkins, kindhearted Mrs Arbuthnot, grumpy Mrs Fisher and the beautiful Lady Catherine. This really is an enchanting book, with it’s joyful descriptions of a place that sounds like heaven. However, I think some people would find it a bit too romantic and over the top. Being such a lover of everything Italian, and having just returned from a fantastic holiday there, I felt just like Mrs Wilkins – in a constant daze of happiness. The book could have done with being much shorter – if I had been in any other mood, there’s a chance that even I would have become impatient with the descriptions. If you would like to whisk yourself off to a beautiful Italian castle but don’t have the time or money, you might want to try reading this instead! Haven’t read the book, but loved the equally fantastic UK film made in the 90’s. It’s a very gentle and very charming film. It also does something very clever. It sets up a whole series of potential disasters for the characters, and then – just as you’re expecting the worst – each potential disaster is simply and quietly averted. So in a sense nothing really happens – rather as though a clever plot has been drawn up at the planning stage, but the magical enchantment of the villa is too intoxicating to bother carrying it through. I’d be interested to know if that’s a device inherent in the book – or whether it’s only my personal response to the film. (PS. Please feel free to delete this post if you feel it might be a spoiler for readers of the book). Thanks. Oooh the film really does sound good! The book is also gentle and charming. There are lots of potential disasters, but while they are unravelling, everything slips into place. Instead of lots of unhappy characters, everyone becomes quite content! I love love this book and hope to read it again in Italy someday. I’ll definitely be keeping it mind to read when I’m missing Italy! I imagine reading it in Italy would be pretty good too! I know! It’s already been over half a year!